Many Americans have been counting on FHA mortgages because the down-payment and refinancing guidelines are not too demanding. With the increased loan depleting the FHA reserves, the Department of Housing and Urban Development lowered the FHA loan limits for 2012. Unfortunately when the 2012 FHA loan limits were reduced, thousands of homeowners saw their window of opportunity to refinance shut because their existing liens exceeded the new FHA mortgage limits. 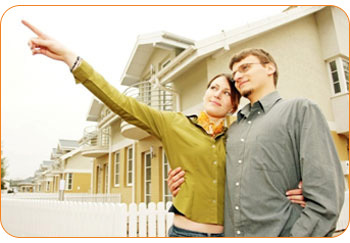 Get the Latest News on 2012 FHA Loan Limits! There has been a lot of chatter in Washington about Congress passing another emergency bill to extend higher 2012 FHA limits for consumers that reside in areas that have higher housing costs like New York and California. With property values around the country at levels seen ten years ago, many homeowners feel like they have been hung out to dry. If you feel inspired, we recommend that you contact your congressman and let them know that you support higher FHA loan amounts for 2012. Many mortgage executives believe that raising the government loan limits is one of the best ways to help many of the distressed regions escape the housing crisis. To find out what the 2012 loan limits are in your county, please complete the quick form to the left and one of our FHA loan officers will follow up with you shortly. FHA Interest Rates Have Fallen to Record Lows! Congress is in charge of setting FHA loan limits. Most borrowers are not aware that currently there is a law that prohibits the Federal Housing Administration from reducing the loan limits. At this time, most limits are calculated using 2008 home values, thanks to a provision introduced by the Obama administration. As it sits right now, If house prices fall, the FHA formula can't take that decline into account. As a result, FHA currently insures mortgages above average home prices, particularly in high-cost regions that have seen a significant drop in values. Obama Expands Home Affordable Program – The President doubled down on the HARP refinance program that has been around for a few years. On paper, the HARP initiative was a brilliant solution because it offered a solution to borrowers that had good credit but were unable to qualify for a refinance loan because their property value had fallen so far before the amount they owed on their mortgage. The original program capped refinancing to 125% but the new government outreach removed all loan to value restrictions. To determine whether you qualify check out > Home Affordable Refinance Program Eligibility. The SF Gate noted that many homeowners had mortgages that were not insured by Fannie, Freddie, FHA or the VA could refinance with the recent settlement between state and federal regulators and five big banking loan service companies, but this was a “long shot”. The settlement has yet to be signed and banks have up to three years to make the $3 billion worth of refis they have promised regulators. Read more from this SF Gate article.